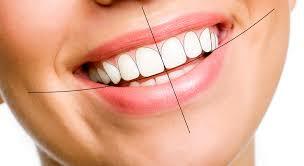 Smiles should match the size and shape of the face as well as the temperament of the patient. Learn how to use photos to analyze smiles, measure the smile and then create provisional restorations for the patient to evaluate prior to fabricating the final restorations. This course will improve your ability to predictably create beautiful smiles. Showing patients up close what we as dentists, is imperative for patient acceptance of necessary treatment. Digital photography has sometimes been complicated but newly designed dental cameras simplify the ability to take excellent photos of the mouth. Having a library of before and after photos of different treatments can be invaluable in showing patients their options. Showing patients what their smiles can look like can be an effective way to have them proceed. was an Assistant Clinical Professor at The Ohio State University for 13 years and has been in private practice in Columbus, Ohio for 32 years. He lectured at the Post-Graduate Program in Esthetic Dentistry at the University of Minnesota, SUNY Buffalo, UMKC, and the University of Florida and served as chief examiner. Dr. Ward has published articles in the Journal of Prosthodontics, Journal of Esthetic and Restorative Dentistry, Dental Clinics of North America, Compendium, Collaborative, Dentistry Today, Inside Dentistry, Oral Health, and Contemporary Esthetics and Restorative Practice. 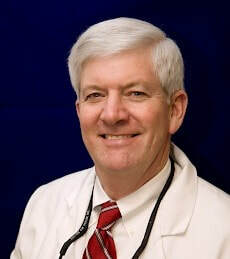 He is a reviewer for the Journal of Esthetic and Restorative Dentistry and the Journal of Prosthetic Dentistry. Dr. Ward has developed a computerized method of smile design called the RED Proportion. An innovative pioneer, Dr. Ward combines theory with practical real world experience. Once payment has been received for this course, the email address you provide will be added to a registration list of who will be attending online. You will be sent a link to the live broadcast of this event where you will need to login to your persona account with YouTube. This is required so you can comment and ask questions during the course. After the course has completes you will be sent a questionnaire & evaluation form. Complete this form and you will be emailed your CE Certificates.